epoch1-43.com - the world's only dedicated Epoch Indoor Racer RC 1/43 Spec-2 Forums, featuring Epoch Indoor Racer News, Parts, Hop-Ups, Gallery and more! 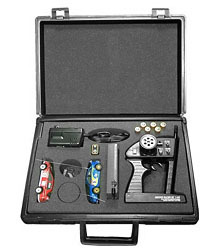 epoch1-43.com is the premier online portal for Epoch Indoor Racer enthusiasts. Here you can find the latest news, check out other Rides, find out about the latest Parts, and Shop for hop-ups.